Over the past seven years, Slamdance Film Festival has evolved from scruffy upstart, taking on Sundance, the eminence grise of Park City, with a DIY alternative in 1995, to a wiser, but still mischievous older brother, having spurred a bevy of alternaDances—Slumdance, NoDance, TromaDance, DigiDance, Slamdunk, et al—that have pitched their tents in the tony Utah resort town every January. And what about the docs? Well, three documentaries screened in competition with the narratives, and one of them, Monteith McCollum’s Hybrid, took the Grand Jury Award for Best Feature. When you consider a film about an Iowa farmer who revolutionized a way to hybridize corn, you may not rush to see it. But Hybrid is such a revelation in so many ways. The film itself is a hybrid of documentary, animation, and experimental, and McCollum has a seemingly inexhaustible arsenal of artistic sensibilities to render the ordinary and mundane—and you don’t get much more ordinary than a cornfield—into something extraordinary and astonishing. Shot in grainy 16mm and Super-8 black and white, Hybrid weaves together footage of Milford Beeghly, the subject of the film (who also happens to be McCollum’s grandfather), Beeghly’s family and archival footage of Beeghly plugging his agronomical innovation on local television. And there’s also the grimly impressionistic vistas of farmland right out of a Hopper painting, seamlessly juxtaposed with footage from Pare Lorenz’s The Land and The Plow That Broke The Plains and the time-lapse animated sequences of corn growing, popping and dancing, and, yes, mating. McCollum also composed the music, a melancholy chamber work that recalls Bartok. 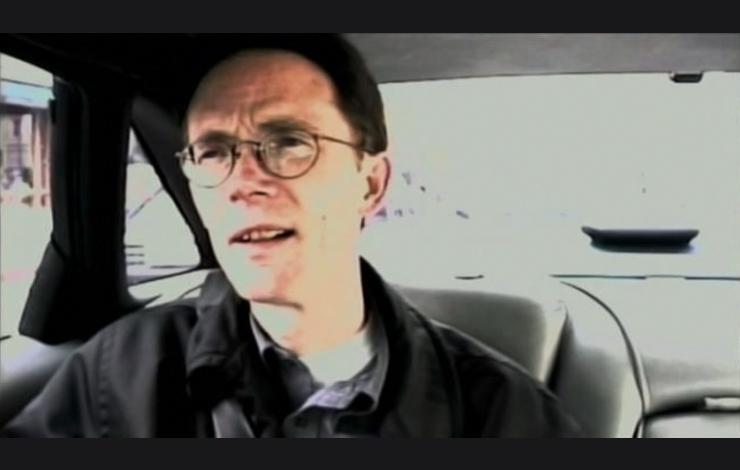 Another notable film, which screened as part of Slamdance’s Filmmakers’ Lounge, was William Gibson: No Maps for These Territories, Mark Neale’s dazzling take on the sci-fi writer and millennial prognosticator. It was Gibson who coined the term “cyberspace” and arguably inspired the dot.com revolution—at least from a literary standpoint. Neale, who has directed music videos and created the video art for U2’s Zoo TV Tour, opted for this film to take Gibson on a road trip around America, rigging mini-DV cameras in the car and letting the man muse and pontificate on the future, his past, his art and anything else that comes to mind. Neale and his editor Rochelle Ford do the rest--cutting away, splicing in, shifting the landscape and basically rendering Gibson’s musings as fast as he utters them. Getting into someone’s mind and putting it on the screen is a daunting thing, but Neale takes the viewer on one bracing, mind-warping, sensory-taxing ride.